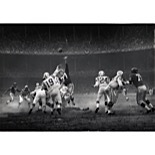 Nicknamed “The Golden Arm” for his sensational passing abilities, Johnny Unitas is known as one of the greatest NFL players of all time. 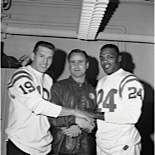 Unitas was drafted in 1955 by the Pittsburgh Steelers, but he was cut before the season started. 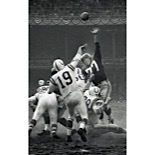 Out of football, Johnny relied on a construction job to support his family until the Baltimore Colts tried him out in 1956. 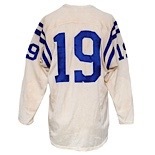 With the Colts, Unitas became one of the best quarterbacks the NFL has ever seen. 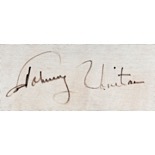 Inducted into the Pro Football Hall of Fame in 1979, Johnny was a 10-time Pro Bowler, 5-time First Team All-Pro, 3-time NFL MVP, 3-time NFL Champion and Super Bowl V Champion. He also held the record for the most consecutive games with a touchdown pass for 52 years. 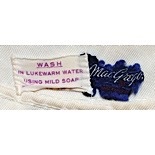 On the front left tail of the white and blue three-quarter sleeved durene jersey is the deteriorating “MacGregor” manufacturer’s tag. Adjacent to the left is a white strip tag with washing instructions. 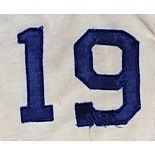 Across the front, on the back and on each sleeve is Johnny’s number “19” in blue satin. 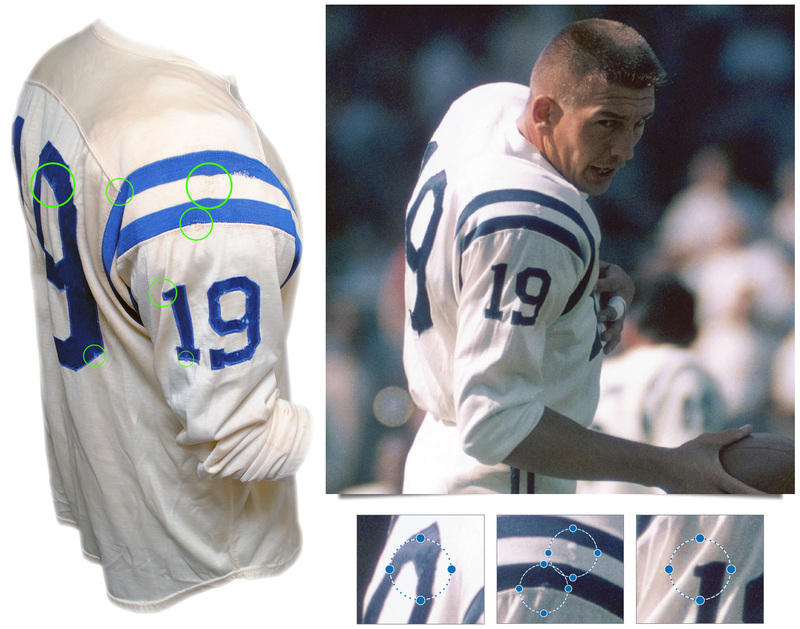 Unitas has signed the front of the durene jersey in black marker, in our opinion the signature rates a 7. 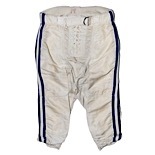 Numerous vintage repairs appear throughout the jersey due to extensive game use. 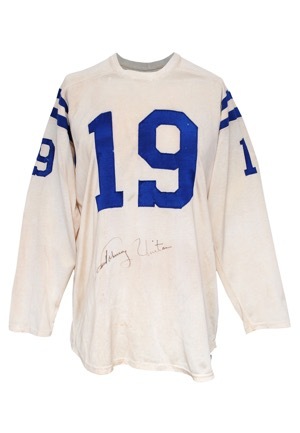 It is more than plausible that this jersey was used for multiple seasons including the 1958 double overtime NFL Championship game against the New York Giants, better known as “The Greatest Game Ever Played”. 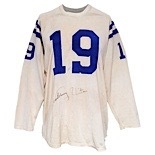 After exhaustive photo research of footage from the 1958 NFL Championship game, we have concluded that a solid argument could be made that this jersey was in fact worn during that game. The quality of period photography makes it impossible to make an exact determination. 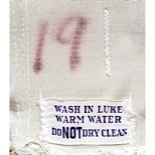 On the inner rear waistband of the satin white pants is a white wash instruction tag with Johnny’s number “19” written in faded black marker. 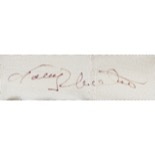 Unitas has also signed the waistband in black marker, in our opinion the signature rates an 8. The uniform is properly tagged, was presented to us as game-used and in our opinion shows outstanding use. 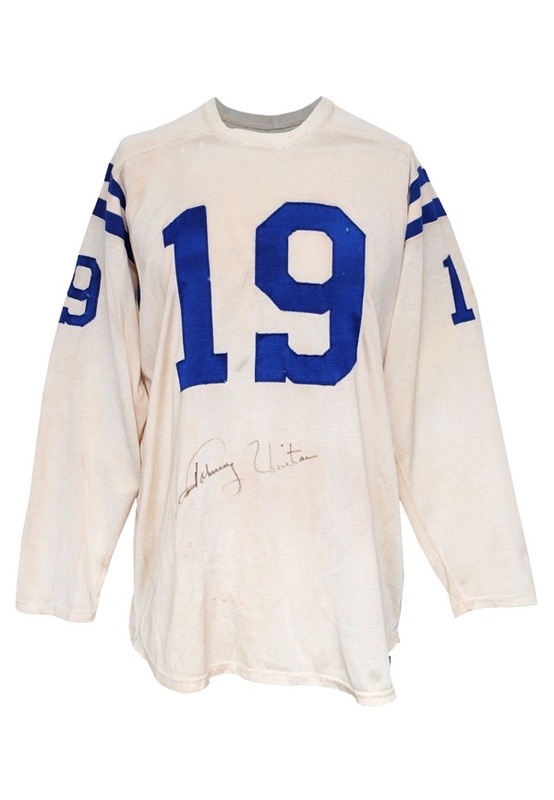 Originally sourced from the son of Mr. Romeo Valiente, owner of the Baltimore Colts laundering facility, who was close friends with Unitas and was personally gifted this fantastic relic. Auction closed on Thursday, June 25, 2015.